Preheat oven to 300 degrees F. and butter well a 9-inch springform pan and line bottom with parchment paper. Melt the chocolate in a double boiler over hot, not boiling water. When the chocolate is melted, turn off the heat and leave it over the hot water to cool slowly. 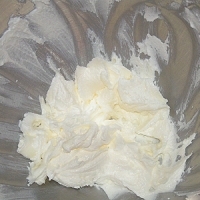 Meanwhile in a large bowl, beat the butter with 1/4 cup of the sugar until the mixture is fluffy and almost white. Add egg yolks and beat for 1 minute. Add the almonds and cognac and beat 2 minutes more. 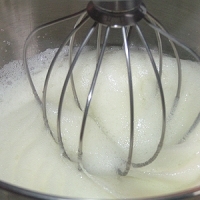 In a separate bowl, beat the egg whites until light and foamy while gradually adding the remaining 1/4 cup sugar. Continue beating the whites until they are stiff and shiny. 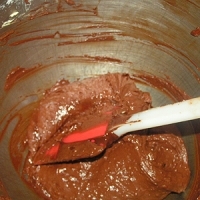 Add the melted chocolate to the egg yolk mixture and mix with a rubber spatula until well combined. 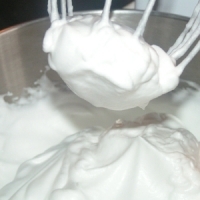 Fold in 1/4 of this chocolate mixture into the egg whites; then gradually fold the egg whites back into the rest of the chocolate mixture, taking care not to deflate the batter. 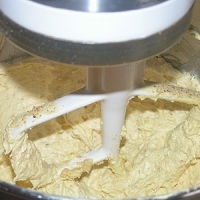 Pour mixture into prepared pan and bake for 25 to 30 minutes, or until a tester comes out covered with a thick, moist, not wet, and crumby coating. 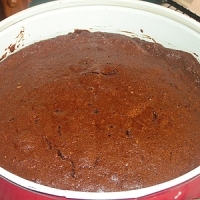 Allow cake to cool for 30 minutes in the pan. Loosen the edges with a knife and carefully turn the cake out onto a plate. Remove the parchment paper. Sprinkle with unsweetened cocoa. Serve at room temperature or chilled with whipped cream and raspberries on the side. This contains most of my favourite ingredients in one recipe ! 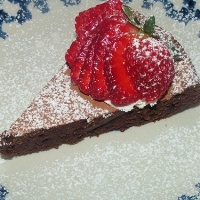 This is very like a chocolate almond torte I make, try using Amaretto liqeuer it works a treat, I find that clotted/scalded cream helps it go down, serve at room temp as it will be too stiff out of the fridge. omg. this looks positively sinful!